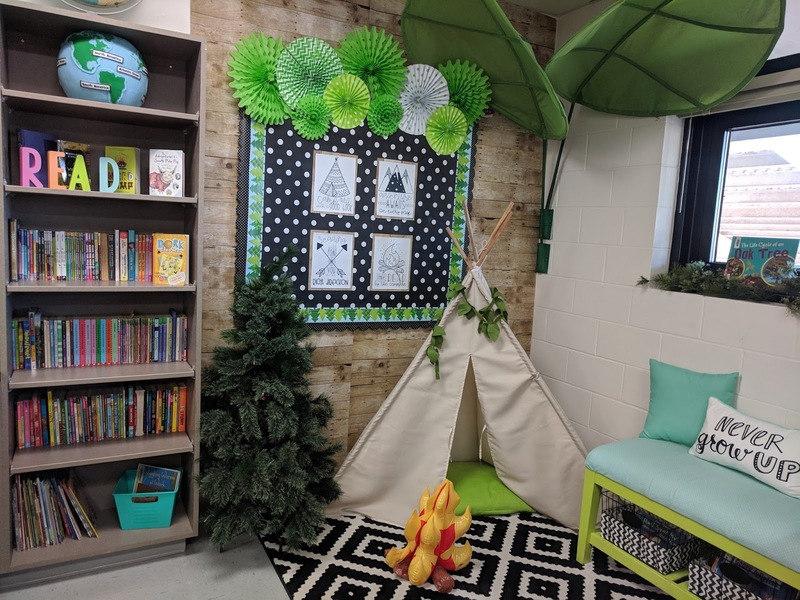 Creating a cozy fun spot for your students to enjoy their favorite books is a must do for any classroom. 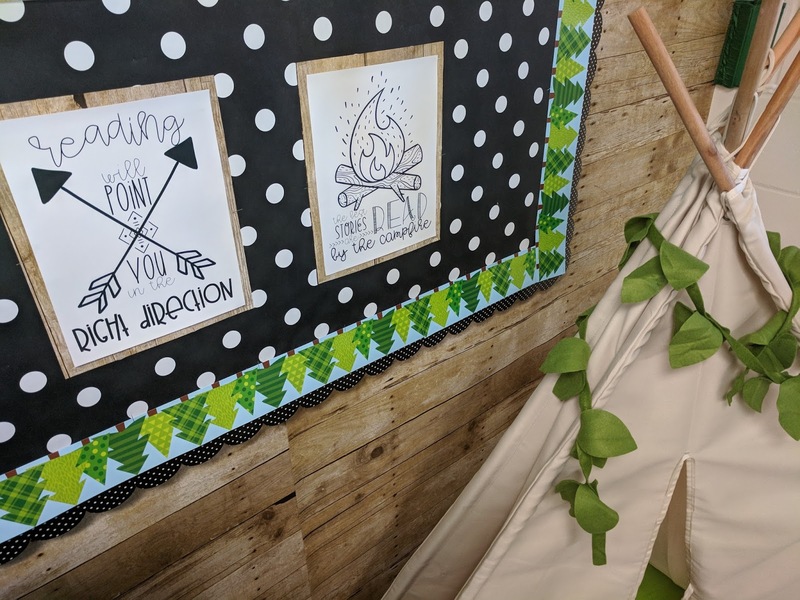 I love creating a little get away that helps my students to be excited to get to visit the reading corner each day. This year I went for a modern twist on a camping themed reading corner. 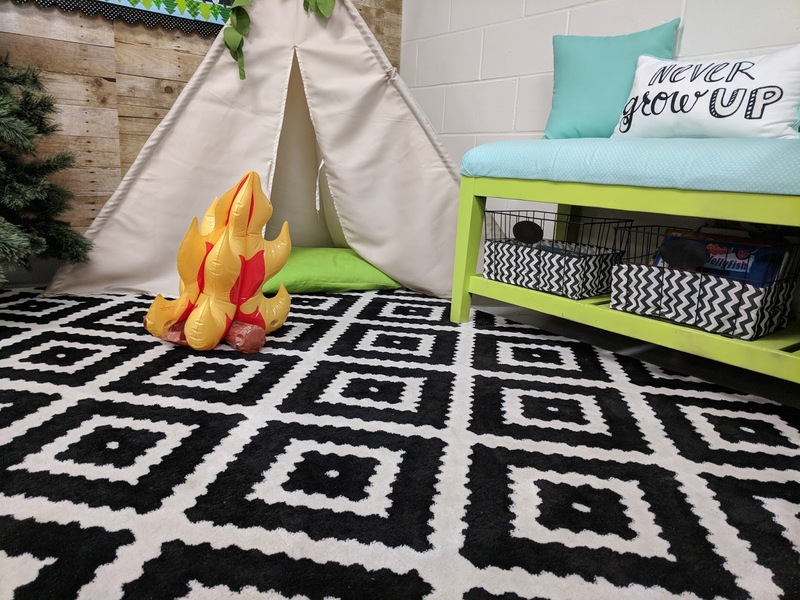 You can check out all of my ideas for this fun reading corner transformation over on my Pinterest board. I mixed bold black and white textures and prints with the weathered wood paper. 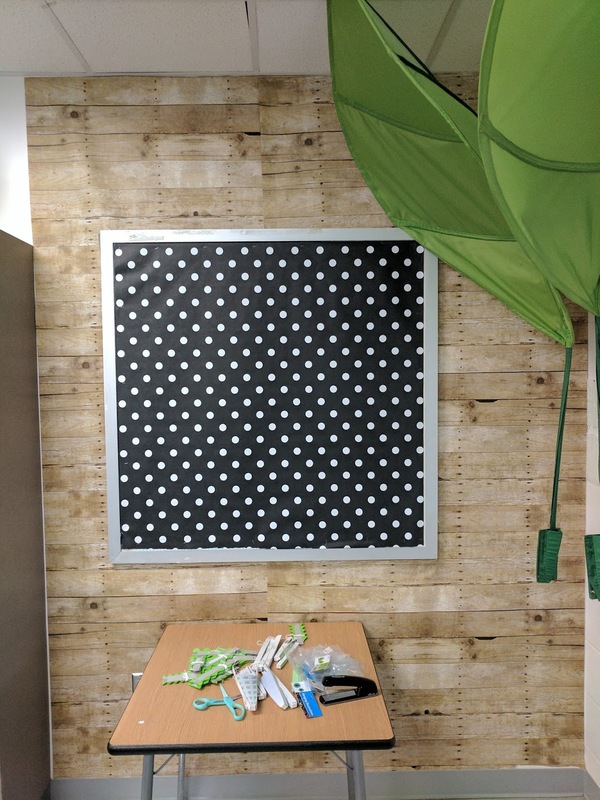 I found this was a fun way to cover my drab white walls, it went on easy and just a few staples kept it in place. I wanted to find an inexpensive area rug that would be soft and comfortable, durable yet also make a bold statement. I found one I fell in love with over at Wayfair. 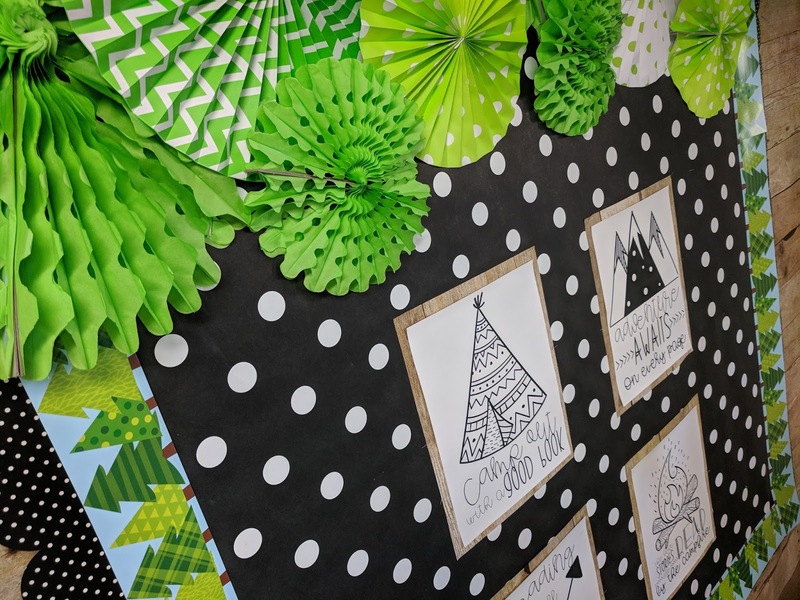 The bold pattern provides some whimsy and fun to our modern camping theme. I repurposed an old bench with some spray paint and fabric and it makes the perfect seating area. Just add some fun throw pillows to soften it up. I love finding outdoor pillows. These are from Wal-mart. They hold up nicely and wipe right off if something gets on them. The Never grow up pillow came from a Target splurge, I mean I just couldn't say no it matches the look so nicely. For my board I layered my borders and flipped my scalloped trim to be on the out side of my small bulletin board. These fun border prints come from Creative Teaching Press. I mixed the black and white polka dot with the trees to keep them from looking too Christmas like. Some fun colorful green fans from Oriental Trading Company complete the look. Just add a few fun reading themed signs and your board is all set. 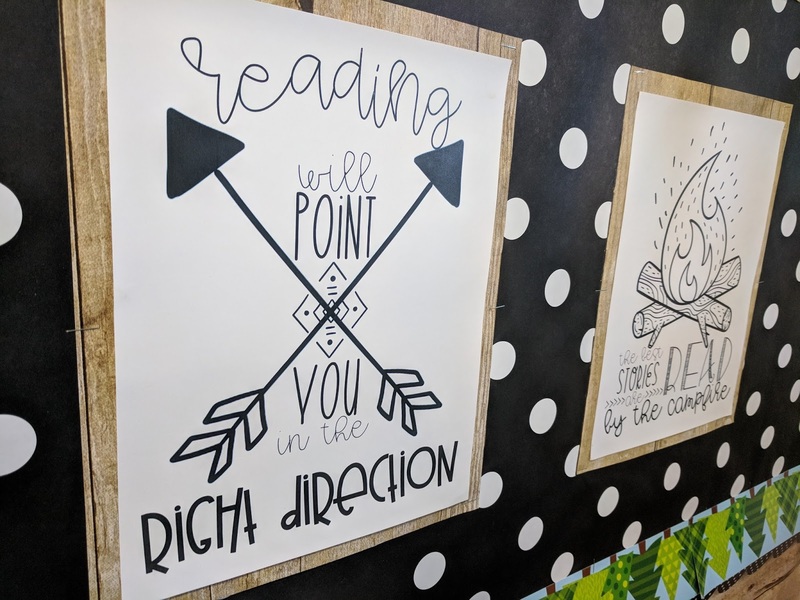 You can grab your reading posters over at my Teacher's Pay teacher's Store. 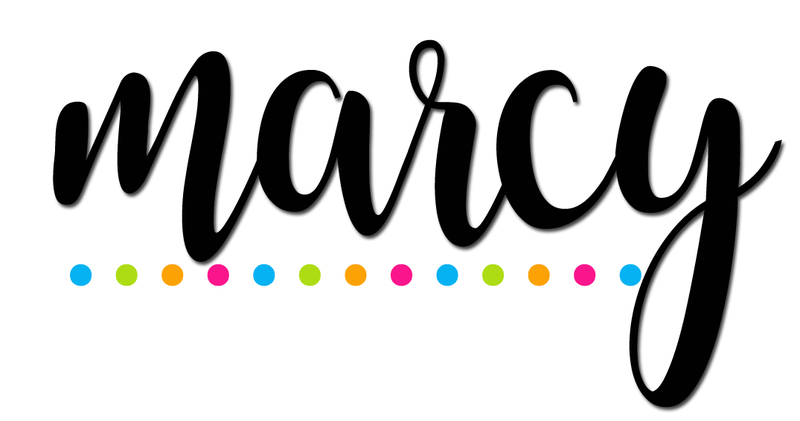 Just add a few books onto your shelves for your students to enjoy and you are all set! A cozy fun reading corner that is ready to welcome your readers! To shop more of this look check out more details at Learn365!